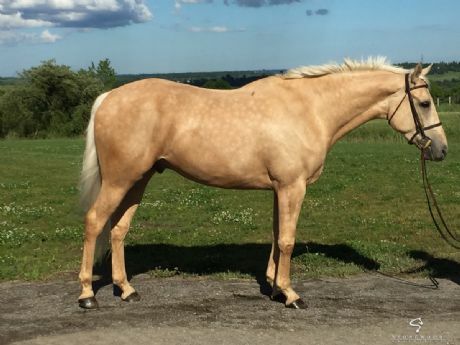 Get noticed in the ring with this stunning young horse. Calvin as he is affectionately known in the barn is going to be the perfect amateur horse. He has an amazing mind, is super brave and very fancy. Currently going walk, trot, canter and just started jumping around withe a lead change. Jumps a 10 and is a lovely mover. This horse is going to make someone a very special partner!